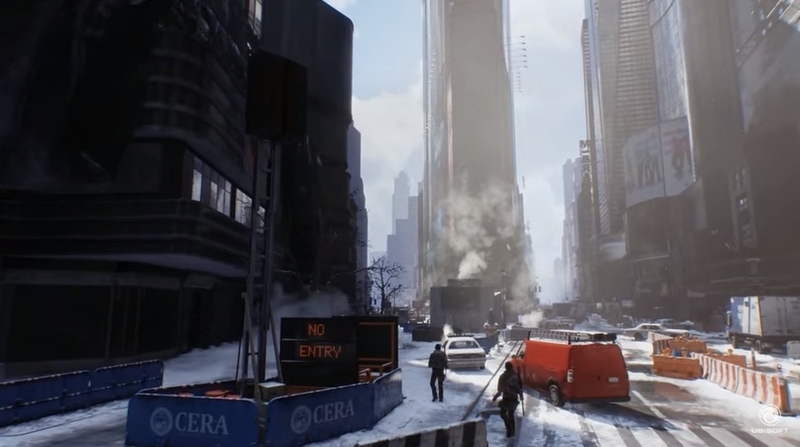 Ubisoft’s new trailer for their upcoming video game The Division shows that this will be one pretty game, especially for those who have high-end PCs and enjoy pushing their state of the art hardware to the limit. The trailer shows Ubisoft’s new “Snowdrop Engine” graphics engine in action, which is capable of rendering very detailed, large scale environments and impressive graphic effects. In particular, the engine’s fancy features like “realistic weather particles” and destructible environments are looking great, making this a great game for those who are fond of graphical eye candy in video games. Ubisoft’s trailer also proves that the PC version of the game is not being hold back in any way, and that it will be able to make the most of the latest PC technology and graphics cards. Because earlier comments by a Ubisoft developer had the PC gaming community in arms, as said developer mentioned that the PC version should be kept “in check” with the console versions, so that it wouldn’t look or perform much better than on the PS4 and Xbox One. This obviously upset PC owners who might have spent hundreds on top-notch PC hardware, hoping to play “the ultimate” version of games like The Division, and who have been let down in the past by bad PC ports like Batman: Arkham Knight. Although thankfully Ubisoft has denied that the PC version is restricted in any way, meaning it will be able to take advantage of the latest PC hardware. 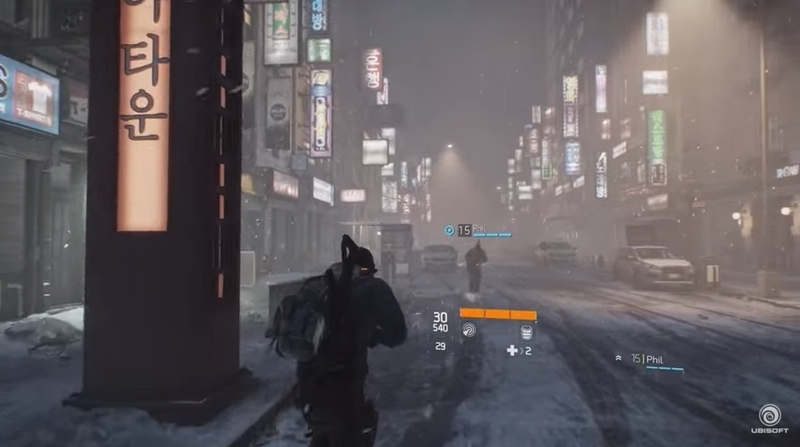 The Division will be a pretty game, no doubt, but will it be a great one too? But still, perhaps Ubisoft should worry about making The Division a great game to play instead of delivering more eye candy. After all, the game’s open beta was a bit disappointing, as the game lacks charismatic characters and a good story, and the third-person shooting is far too similar to the one seen in other games like Ubisoft’s own Watch Dogs. Also, the game’s “Dark Zone” multiplayer is a bit shallow and generic, and sadly cheating is still an issue despite Ubisoft’s best efforts. But given that more than more than 6 million players spent hours playing the game’s open beta, which no doubt was a huge success, perhaps The Division might still end up becoming a hit for Ubisoft this year. Note: The Division will be released on March 8, 2016. It will be available on PS4, Xbox One and PC. Next: Uncharted 4 Trailer Used Assassin’s Creed Image: Will This Hurt the Game? Uncharted 4 Trailer Used Assassin’s Creed Image: Will This Hurt the Game?